OUR PRICE: $12.96 - Join Rewards Get $1 Dance Dollars On This Item! 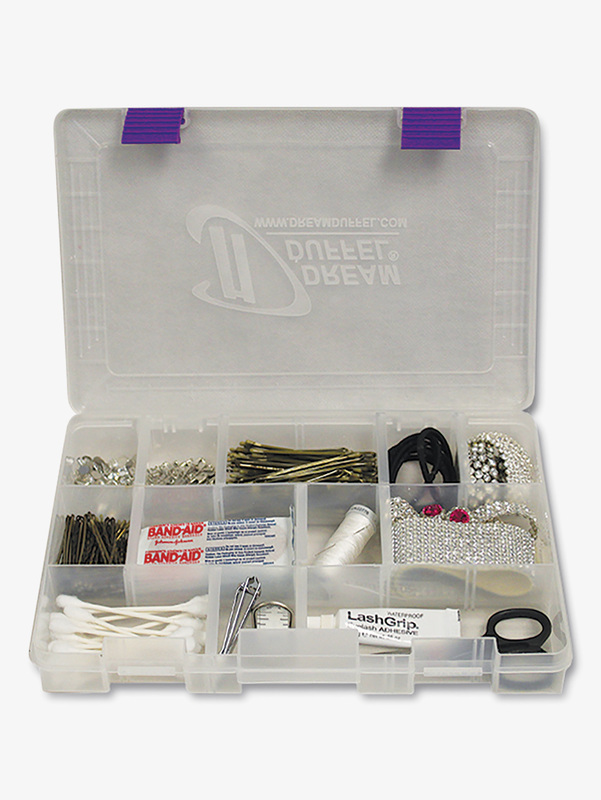 This accessory box is specially designed for your Dream Duffel bag, and comes with adjustable compartments, fastener clips for secure closing, and an embossed Dream Duffel logo on the top cover. Teacher, shipping or promotional discounts do not apply.. Thank you for taking the time to give us your feedback. I am sorry to hear that you received a plain box. One of our Customer Service representatives will contact you shortly to rectify the situation. I really love the organization of supplies this box allows. I would say there were some items that just wouldn't fit no matter how much I rearranged the dividers. It is really helpful and durable. Although I do have to say that it adds weight and is extra hard so may be uncomfortable to carry if taking with you on an everyday basis. I would say that if you are looking for something to organize competition or recital supplies, this is a great by! Well worth it. If you are looking for a class supply organizer I would go with something less bulky like a pouch or makeup organizer bag. I love this accessory box. I'd been using ziplock bags for far to long. I love that the dividers can be removed to make bigger size compartments. It's perfect for all our accessory needs!